Jump Operators have a surprisingly unstoppable combat intuition and courage. They are chosen individually, for only the most resolute, deft and skilled Ephemerals interested in obtaining benefits for the Concordat Exrah will do. Jump Operators are ambitious and they crave missions that will provoke the admiration of the company and give them an opportunity to promote themselves. 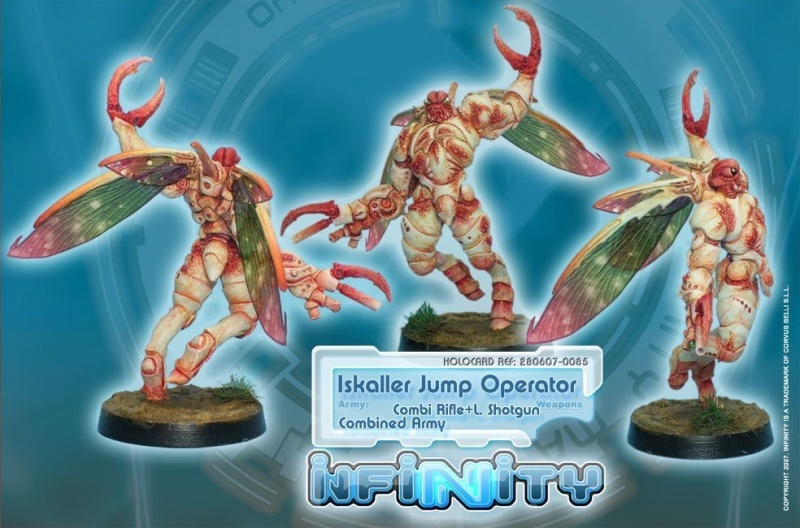 In order to fulfil the demands of their operative profile, the Iskallers have improved metabolisms that allow them to support the strong stresses of re-entry during trans-atmospheric tactical flights. Their flight shells allowing them to attack from the least expected directions. This page was last modified on 3 April 2018, at 09:50.